Thanks Chavansab, stay in touch. These words are packed with Truth. In deed, we are all headed towards the realization of freedom or, salvation. I wrote something similar “The Salvific Power of Work” yesterday you might like to check it out. Oooh Clare thanks so much giving the stamp of truth. Indeed that is how we are all lead to the path of Salvation. Today I was busy during day responding to all now, its 12 mid night here. So I will read your post tomorrow and comment. Splendid lines of emotion and how it leads to salvation, Shiva. 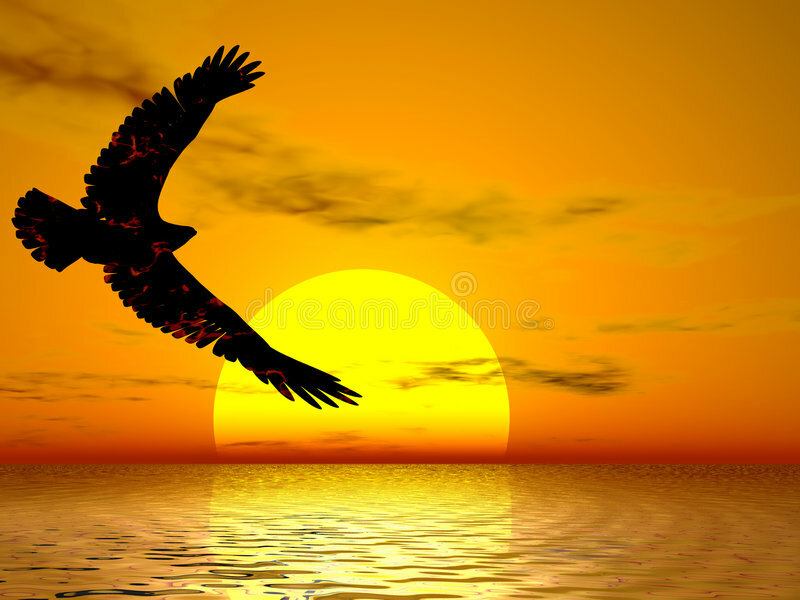 Loved the perfect picture of an eagle soaring to freedom. Radhika is a wonderful blogger too. Thanks for the awesome poem of perfection. Thanks Kamal and as you know the steps leading to Salvation come from the experiences we have good and bad. I am now satisfied having inserted that image, I had my doubts as to how will you all receive it. Yes Radhika is Good Poet as well you see. Great Shiva and welcome always. I am glad to know that my comment on your earlier post was an inspiration for this beautiful piece of composition Shiva. Indeed the sad emotions which drain us also are a stepping stone to introspection, reflection, awareness, enlightenment and finally salvation. Oooh Radhika thanks, yes they are the stepping stones. After responding to your comment I kept thinking, those four lines only would make it a negative thought, so added another four and completed the blend. You are right here in WP wet get to know so many things and the support of genuine people. That is why I keep telling that we should read other’s posts sincerely and like and comment. I have other accounts as well like FB, Instagram, Twitter and so on but the genuine support you get here in WP is really wonderful. It is left to us not to make this another FB.. Absolutely agree with you. Have a nice day Shiva! Hoping so to have a nice day. Oooh Miriam your liking of the image made me confirm of it’s authenticity. All the good and bad included leads to the self introspection and finally the decision. Thanks for this understanding of the message. Lately I have seen you have been Reblogging so many posts. I do not mind if you want to reblog my posts. I only want the message to reach to many. Thanks for your support always. Gail you have seen the sight in the depth of it’s words. Thanks you named it a breakthrough and that’s right. Your words have lightened the portal. Thank you, Shiva. Why you have been out of scene since long.. any reasons.. How are You keeping. Job…. Taken up teaching again. Commitments in school taking up much of my time. Thanks Dilkash, till now I do not know your name could you please tell me as I feel good to address and talk to you by addressing you by your name. You are a Very Good Poet as well. Your Shayari is Amazing My Dear. I wouldn’t understand what does it mean. Your name is Sagar, and what does Advo mean, are you an advocate. Such a sweet poem Shiva. You enjoy it as it flows along smoothly. Reblogging this on SIWO. Thanks Romanus for this Reblog. You are so sweet as well. I want many to read this and find a path to Salvation. Many, for sure, will read it. Thanks so much Ngobesing Romanus. beautiful thought in beautiful words !!!! Shiva, your writing is always moving and inspiring, thanks for the visits, and Know my brother I will do the same for you! God bless! Thanks Priti! I am happy you liked it. You need not apologise dear for not reading. Life is always such, it makes you turn here and there. Prioritizing is essential to turn the way you want it. Sure sir 👍. Thanks . Excellent Shiva! Even I’m glad to her words which inspired you to write these profound words of wisdom. That’s the truth which sets us free! Wow! Meenakshi you assimilate my words in the right perspective. I wish I could inspire you to write something big one day. It will be honour .